Blowout Sale! 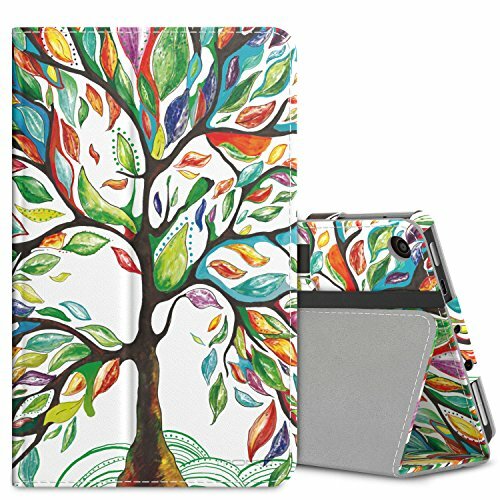 Save 61% on the MoKo Case for All-New Amazon Fire 7 Tablet (7th Generation, 2017 Release Only) - Slim Folding Stand Cover Case for Fire 7, Lucky TREE (with Auto Wake / Sleep) by MoKo at Andy Pemberton. MPN: 4328633445. Hurry! Limited time offer. Offer valid only while supplies last. Compatibility: Custom designed for your precious All-New Amazon Fire 7 2017 Tablet, this MoKo case features a combination of functionality and style. Fits Amazon Fire (7" 7th Gen - 2017 release) ONLY. NOT FIT 2015 (5th Gen) or 2014 (4th Gen) or Previous Fire HD / HDX 7 inch or 1st Gen Fire 7 (2011 release) Tablets.